Champion the cause of the fashion awareness when you swathe yourself in this Luscious Love Fire Gold Mid Length Cotton Kurti for Women; a unique design from the house of Snehal Creation. This beautiful piece has a simple round neck followed by a short neck panel of magenta and purple with some mirror work. 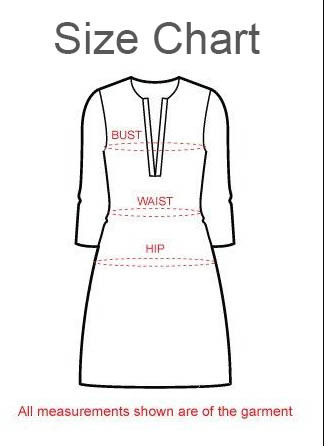 The sleeves of the tunic also carry horizontal lines on themselves as does the uniquely printed border at the base.